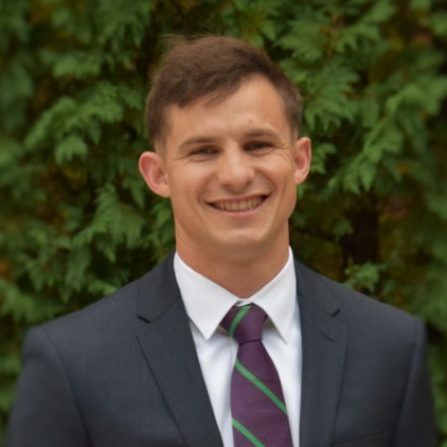 Thomas graduated from the United States Naval Academy in Annapolis, MD with a Bachelor of Science in Honors Political Science as a Marine Corps Burke Scholar. First Lieutenant Payne was commissioned in the U.S. Marine Corps in May 2012. After graduating TBS, he reported to the Infantry Officers Course (IOC), and was designated as an infantry officer upon completion of training. Upon completion of IOC in June 2013, he was transferred to 1st Battalion, 8th Marines, in Camp Lejeune, North Carolina as a rifle platoon commander and deployed to the Western Pacific under the Unit Deployment Program supporting military exercises in the Philippines, Thailand, and Malaysia. He is currently deployed in support of the Special Purpose Marine Air-Ground Task Force Crisis Response Africa (SPMAGTF-CR-AF) as the executive officer for Company B, 1st Battalion, 8th Marines. His long term goal is to start his own business.